In recent times, Nigerian singer and actor Banky W, has been politically active in a bid to increase the awareness of young and ignorant Nigerians. 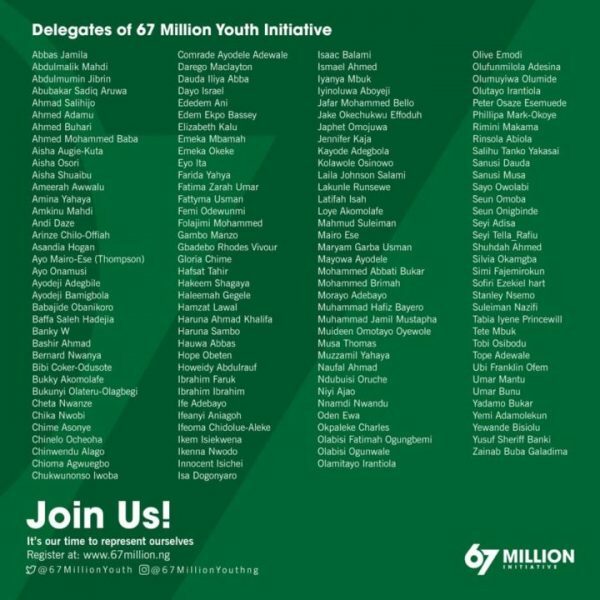 To achieve this, the singer and other well meaning Nigerians, flagged an initiative called “67 Million Initiative” which bolsters on educating the youths, further challenging them to be politically active. However, Banky has come under attack as rumours all over the internet suggests that the singer has collect a specified amount from the Buhari-led government to help further the agenda of the present administration. The tabloid, Leaders.ng revealed that their findings was as a result of investigation done on the initiative because of the members that were revealed as part of it. They added that over N200million has been set aside to flag off the campaign and the individuals involved are aware of its political implications. 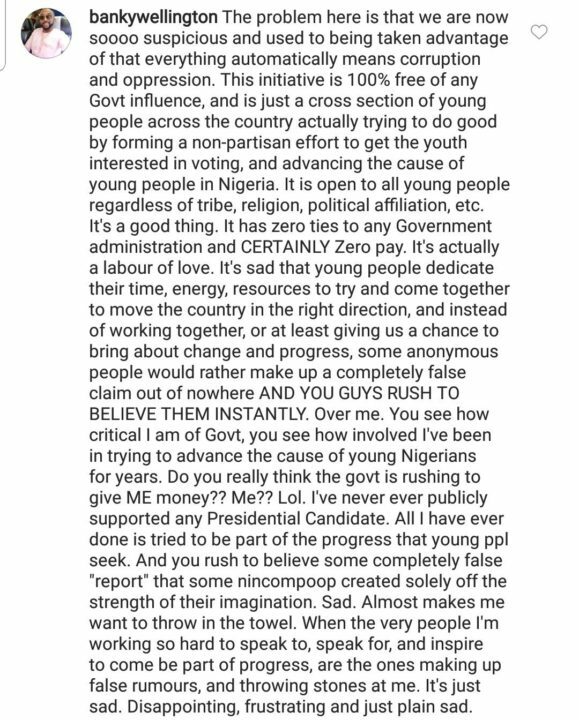 Responding to these claims, Banky W expressed how sad he was further highlighting that the process was void of government intervention also adding that it was free and open for every interested youth who feels the need to participate. 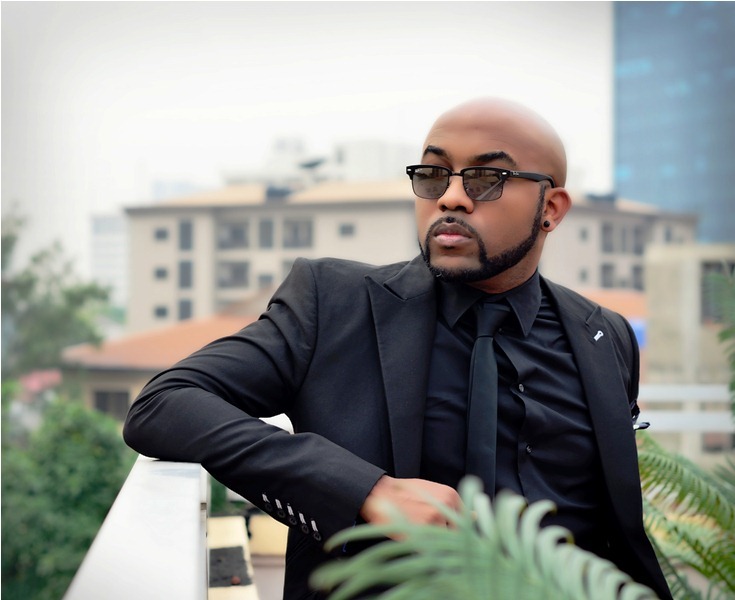 0 Response to "I May Quit; Banky W Reveals As He Debunks Rumours Of Campaigning For Buhari"